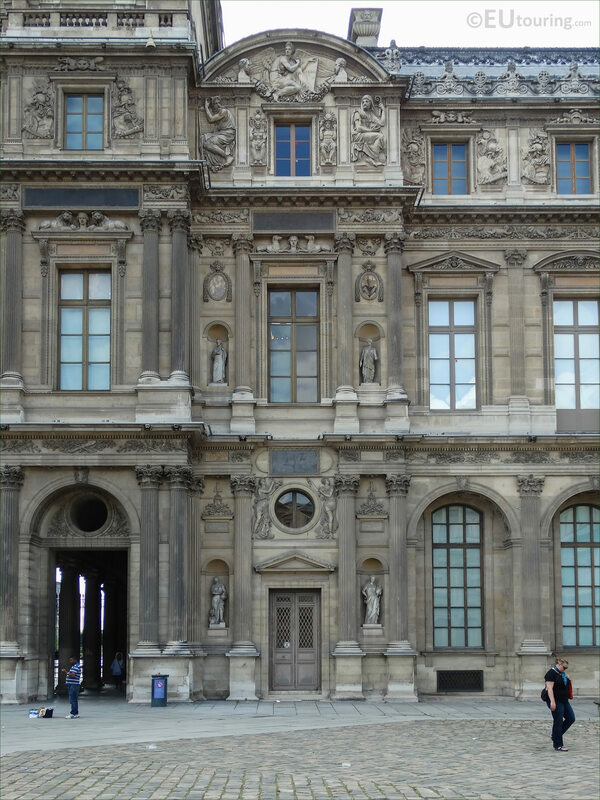 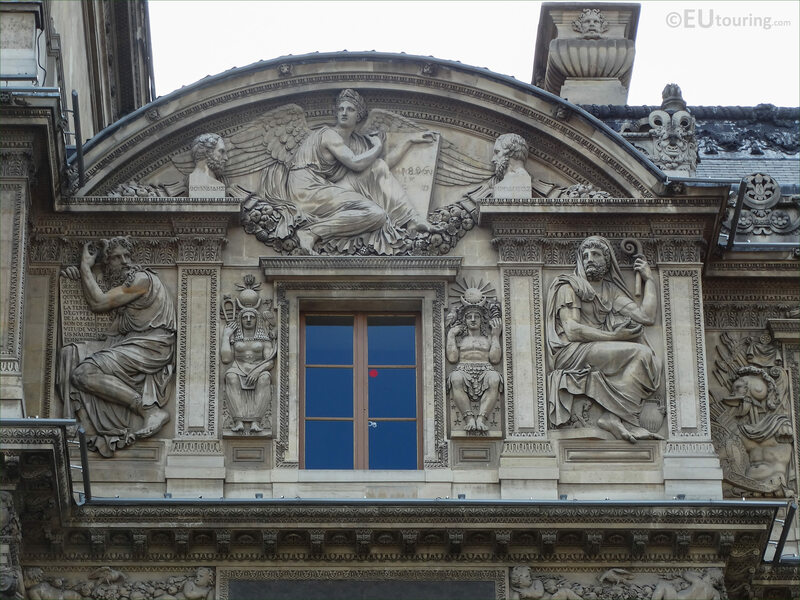 We were in the 1st Arrondissement of Paris at the Musee du Louvre, when we took these high definition photos showing a bas relief depicting Moses, which was sculpted by Jean Moitte. This first HD photo shows a bas relief called Moses, which is Moise in French, and this along with the other embellishments and decorations were ordered by Napoleon Bonaparte to decorate the Aile Lemercier, so that it was on a similar lines to that of the Aile Lescot and this particular relief sculpture was produced in 1806. 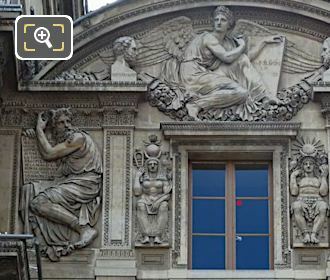 So here you can see the prophet and legendary figure Moses with a tablet depicting the Ten Commandments, who according to legend was cast into a river in a reed basket to be saved by another family, and this sculpture is positioned below the left hand side pediment on the Aile Lemercier, to the left of the window on the third level, next to the Pavillon de l'Horloge. 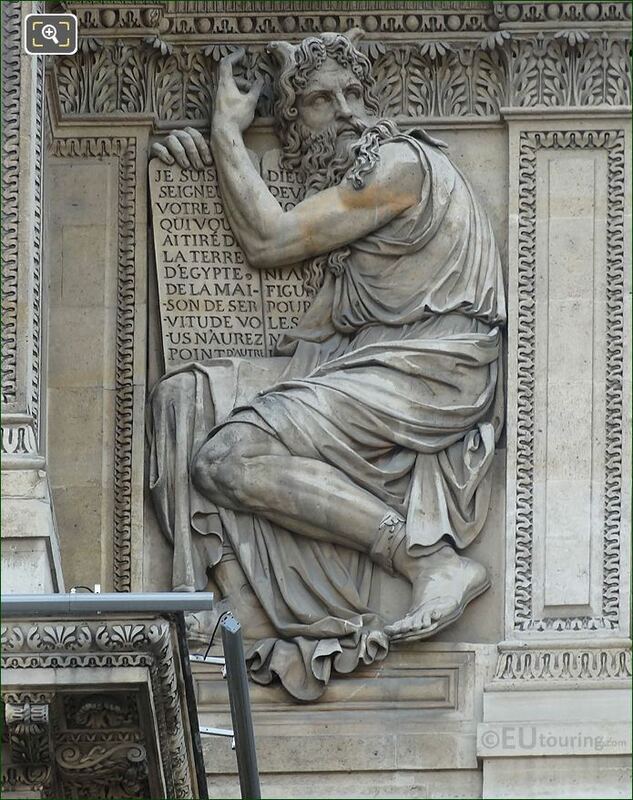 It was sculpted by Jean Guillaume Moitte who was born in Paris in 1746 and studied to become a French sculptor, winning the Prix de Rome in 1768, and although he only spent two years at the Villa Medici in Italy due to ill health, this then led to many public commissions including these bas reliefs on the former Palais du Louvre. Yet this photograph shows the entire left hand side section of the Lemercier wing, which dates from the 1600s and was named after the architect, but as we mentioned earlier, it was almost two hundred years later that the decorations were added to the facade, and the bas relief of Moses along with the other sculptures can be seen from the courtyard of The Louvre called the Cour Carree.